Nettle is cultivated, but grows in almost every dacha along fences and paths. This plant is considered a weed more and it is a relentless struggle, though the nettle and is a useful plant that has healing properties. 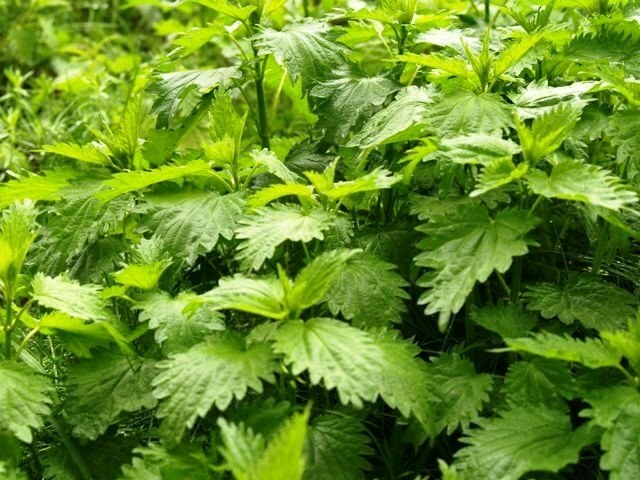 So how to get rid of nettles in your garden? In order to get rid of the annoying nettles in your garden, you need to thoroughly and deeply work the soil with hoes, cutting off as much of the roots. It is best to remove the plant completely, pulling out the nettles together with the roots and then stack it in large piles and burn or put into the compost pit. This process is quite time consuming, as the roots of the nettle are connected over several meters. So to get rid of nettle will need a lot of time and effort. To get rid of nettles in greenhouses often use 30-40% solution of potassium salts, which sprayed plants. But in this case it is impossible with 100% certainty say that this measure will be effective. But still worth to try this method of dealing with weed-nettles. In those areas where the soil is not subject to deep processing, it is recommended to regularly mow the nettles. Soil, which is clogged with weeds, you can mulch with loose or covering material. In the presence of a thick layer, nettle simply will not be able to germinate. Will not help the nettles thrive and evolve regularly mowed lawn. Do not forget that stinging nettle is one of the most useful plants, which have squatted on your land. If you do decide to lime once and for all the nettles from your garden, you will certainly help drugs such as "Tornado" and "roundup". These funds will help to cope not only nettle, but also with almost all weeds. Checked – works. Try to water the habitat of nettle in hot water with salt. Nettles can be used for soups and salads. A decoction is used medicinally and for hair wash, after which they cease to fall out and grow faster. Dry the leaves and brew in the winter during cold-related diseases. And I also have to prepare the twigs of the nettle, to bathe such brooms – a pleasure.